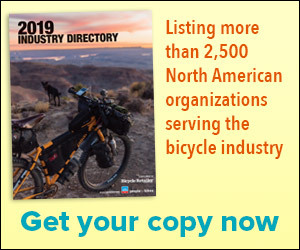 LAGUNA HILLS, CA (BRAIN)—Bicycle Retailer and Industry News has published its 2008 list of the Top 100 Retailers in the country. AUSTIN, TX (BRAIN)—Tour de France champion Lance Armstrong has decided to open up a bike shop in Austin, Texas. It will open in May. Manchester, N.H. (BRAIN)—Fear that the economy is going into recession, along with high fuel costs, and the falling housing market, has caused some consumers to cut back on their spending in other areas. BOULDER, CO (BRAIN)—The online portion of the Selling Cycling 2008 staff training program launched last week, with a record 4,457 product SKUs from over 70 major brands included in 32 bicycle and accessory categories. BLOOMINGTON, MN (BRAIN)–Erik’s Bike Shop sent 13 of its service managers to participate in the USA Cycling Bill Woodul Race Mechanics Training Clinic in Colorado Springs, which took place January 10-13, and four of them earned top scores. LYNDON STATION, WI (BRAIN)—Bike Profits, a division of Jay Townley and Associates, is conducting two Tele-Seminars titled: Growing the Bicycle Market, One Shop at a Time. CAMPBELL, CA (BRAIN)—If you call the Silicon Valley Cycling Center a "bike shop," founders Karl Etzel and Alex Wheeler might must just slap you silly. "We don't really think of ourselves as a bike shop," Etzel said. "Although we do sell some of the finest bikes money can buy." OAKLAND, CA (BRAIN)—Hydrapak has moved down the 880 freeway from Emeryville to Oakland. SEYMOUR, CT (BRAIN)—In response to vast growth in the western United States, Thule has moved its Denver, CO warehouse to a new state-of-the-art facility seven miles away in Aurora, CO.
BRANFORD, CT (BRAIN)—Zane's Cycles will be having a green groundbreaking on January 23 at 11 a.m. Selling Cycling 2008: What's Your Job? BEREA, OH (BRAIN)—Endura has moved to a new office just around the corner from the old one. The technical clothing company was expanding and needed more space. Its new address is: 8059 Lewis Road #313, Berea, Ohio 44017. SANTA ANA, CA (BRAIN)—In an effort to assess how independent businesses fared this holiday season, the National Bicycle Dealers Assocation has teamed up with several other associations representing independent businesses to disseminate an Independent Business Holiday Sales Survey for retailers. MANCHESTER, NH (BRAIN)—The Biking Solution continues to add members at a brisk pace. The cooperative recently welcomed another nine new members into the fold. MORGAN HILL, CA (BRAIN)—Andreis Concept Store opened its doors for the holidays, becoming the first Specialized concept store in Italy. TEMPE, AZ (BRAIN)—Crave Sports recently moved its sales and warehousing operations to Tempe, AZ. The company's main headquarters is in San Jose, CA.